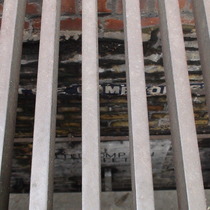 The grill is above a brick-walled tunnel which carries a mass of cables. The signs allow anyone working in the tunnels to navigate without having to stick their heads up to get their bearings. Our colleague Jamie Davies has sent this link to a much better photo of the signs. These brick vaults were purpose-built beneath the streets to carry pipes so that roads would not have to be repeatedly excavated to access the utilities. An ideal situation, but one that would be expensive to implement in existing streets. However, where the Metropolitan Board of Works and later the LCC built new roads in central London in the late 1800s and early 1900s the opportunity was usually taken to incorporate a pipe subway. Gas mains, water mains, electric cables, telecoms cables and fibre data links make good use of them today. Such gratings can still be seen in many streets, but this rare glimpse of a street name through one is a gem. The legislation that transferred responsibility to local authorities gives a schedule of the pipe subways. There are others - the City for example already had several pipe subways that were its responsibility and are therefore not mentioned in the Order. Up until 1896 what is now the eastern section of Old Compton Street (east of Greek Street) was called Little Compton Street. 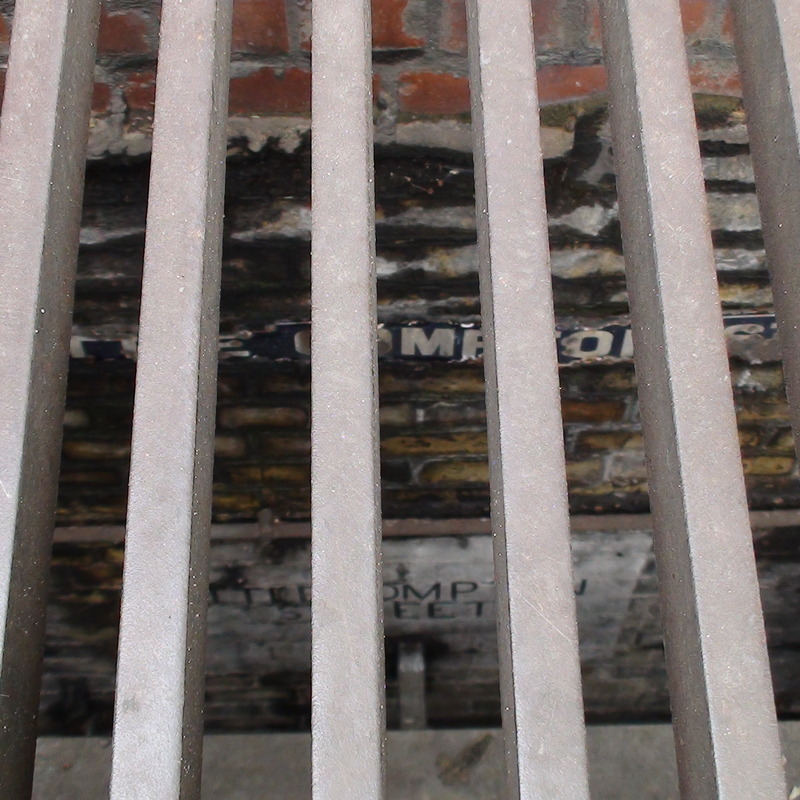 All that remains are these signs which can be seen below a vent grill in the middle of Charing Cross Road, below this island. Not a true memorial we know, but interesting, we hope you agree.